Date: 27.04.2018 | House, Techno, Minimal | Tags: Re-Freshed Frequencies, Club Session Records, Pulse Plant, Harry Leon, Orquesm, Felipe Querol, Hysteric Ego, Tyler Coey, Niko Freij | Download Re-Freshed Frequencies Vol. 17 (2018) for free. 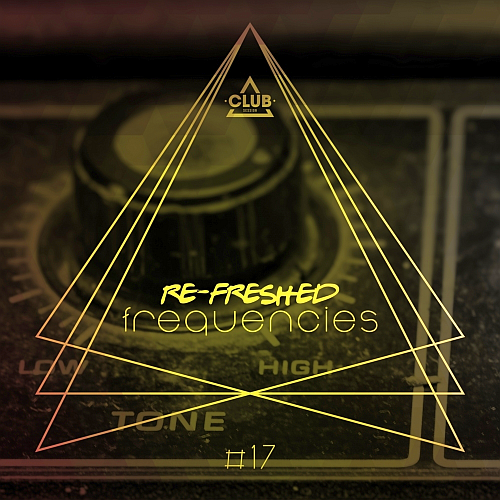 Re-Freshed Frequencies Vol. 17 collection of tracks in the style of electronic music, as part of famous and talented performers! Sleepy & Boo's undying passion for underground music pervades everything they do. As DJs, this duo have become pre-eminent players in the Big Apples dynamic music scene. They have left their mark on countless dancefloors of all shapes and sizes. Orquesm are a dutch production and deejay outfit from Amsterdam.The duo Jeffrey Bakker & Michael Ulrich started out in the early nineties, djing at places like the legendary Waakzaamheid club & Renaissance nights in their Homeland The Net herlands. Elia de Biase is an Italian deejay and producer of electronic music with a special focus on techno sounds.